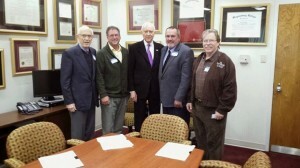 ST. GEORGE – Hurricane Mayor John Bramall and Utah Public Lands Alliance President Gil Meacham and UPLA members Stacey Eaton and Menlo Smith met with Sen. Orrin Hatch Dec. 22, 2014, in Hatch’s Salt Lake City office and presented a proposal that could resolve a contentious proposed land swap under Washington County’s Habitat Conservation Plan in what some see as a win-win solution for all involved parties. “Sen. Hatch appreciates the input he is receiving on this issue. He will continue working with stakeholders to find a resolution that will address vital issues including the importance of the renewal of the Washington County desert tortoise Habitat Conservation Plan with the Fish and Wildlife Service,” Hatch’s spokesperson Heather Barney said. The new proposal would eliminate landowner and developer Bob Brennan’s need for a land swap by taking his property out of the HCP altogether and instead adding 2,000 acres of land located between Leeds and Toquerville to the Red Cliffs National Conservation Area. Substituting land within the conservation area would require the approval of the U.S. Fish and Wildlife Service, which oversees the recovery of the endangered Mojave desert tortoise. The NCA is a component of the Red Cliffs Desert Reserve, which was created to protect populations and habitat of the threatened Mojave desert tortoise and other species. The NCA boundaries mimic the Red Cliffs Reserve, Habitat Conservation Plan Administrator Bob Sandberg said. 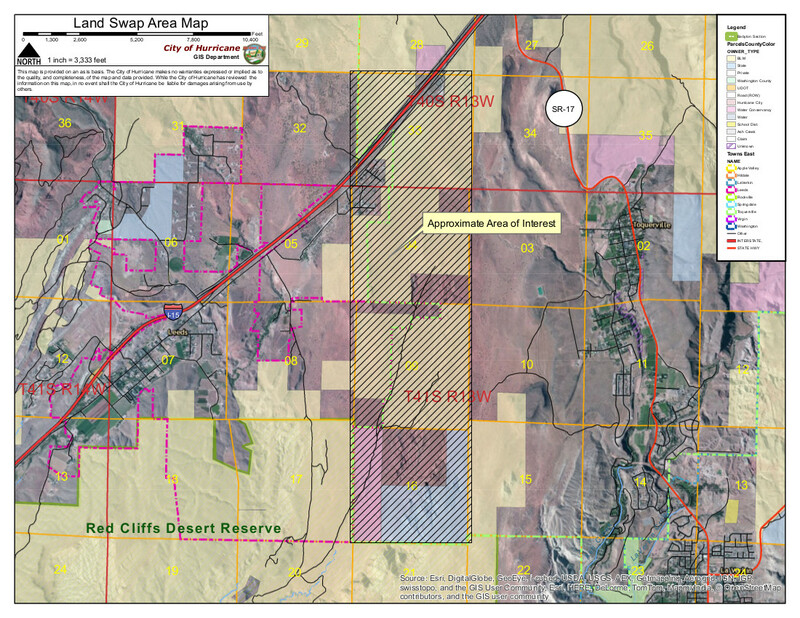 Map of proposed addition of 2,000 acres to the Red Cliffs National Conservation Area. Brennan’s land swap proposal comes under the terms of the Habitat Conservation Plan, which comes up for renewal in early 2016. He owns about 800 acres in the Green Springs area subject to the HCP and within the borders of the Red Cliffs Reserve. Brennan is one of three remaining land owners who have yet to be compensated in cash or trade for their property. Brennan’s proposed swap would involve multiple properties, including a controversial 1,200-acre chunk of land within the Sand Mountain OHV area in Hurricane, which experiences considerable off-road motorized recreation use. Bramall, who is vice chairman of both the Washington County Mayors Association and the Habitat Conservation Advisory Committee, represented the county mayors at the meeting with Hatch. “We want to preserve the area as a permanent OHV area, and we made an alternative offer (to Sen. Hatch) of some other ground to use,” Bramall said. The Sand Mountain OHV area is important to Hurricane’s economy, Bramall said. Events such as Winter on the Rocks (now Winter 4×4 Jamboree), the Tri-State ATV Jamboree and others all utilize the Sand Mountain OHV area, and the events contribute to Hurricane’s economy, Bramall said. Between 56-70 percent of people who visit Sand Hollow State Park come to ride ATVs, he said, primarily in the Sand Mountain area. 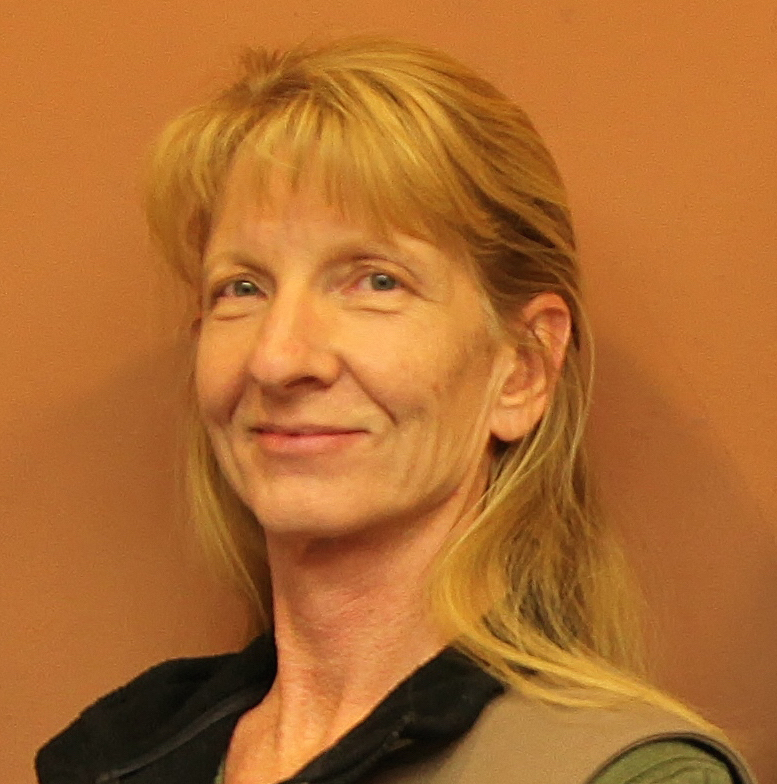 “So we’re anxious to protect recreational opportunities long-term for all of our residents and for the region,” Bramall said. Jim Raines, a full-time land consultant for Brennan, said while he doesn’t think the plan is very practical, if it were to be implemented, it would solve Brennan’s problem. “It’s not a very realistic option,” Raines said. “We wouldn’t have any objections if our ground could come out of the reserve … and we could develop our property the same way everyone else in town does,” Raines said. Sandberg said the 2,000 acres near Leeds is not as good a tortoise habitat as Brennan’s property, which is occupied by tortoises while the Leeds property is not. The new proposal involves moving tortoises from Brennan’s property to the land in Leeds. Ultimately, Sandberg said, Fish and Wildlife has the final say in the matter. The OHV group wants to use Sand Mountain for their own selfish purposes. We should be encouraging people to get out and exercise instead of putting around raising dust (which is visible for miles). I always reiterate that we need to care for the Earth. You tree huggers need to get a grip. As I understand it, many tortoises die after being moved even when the area they are moved to is good habitat. Moving them, just to have them die seems pointless and I’m sure expensive for the taxpayers. In a compromise everyone gets a little and gives a little. What is Brennan giving up? Don’t forget that they need to start walking everywhere they go, and disconnect from the power company. Turn off their lights, furnaces and air conditioners. They need to go to bed at dark and get up at dawn and put in a full day’s worth of work. Then they wouldn’t have so much time to worry about all this crap. These liberals are destroying the country. No one even likes these silly desert turtles anyhow. This is complete b*******. that area is home to countless events and the ohv area is where all the trails are for mountain biking and rock crawling. Just keep it how it is. Not to mention the trauma of just picking up and moving an animal like that to a new area. And even if the area is swapped im sure people will continue to go up there which is dangerous to the tortoise. Red rock lover – when you say “that area” are you referring to the area on the map that is labled “area of interest? It sounds more like you are talking about the Hurricane Sand Dunes/Sand Mountain OHV area. Could you be more explicit about the “events” that are held there?